August is generally a quiet month, so whilst there are no photoshoots, visits to the production studio or sales events, we spend the month on the Isle of Skye in the Scottish Highlands. The same place we have been spending summer for generations. The Longstaff Longstaff’s love affair with the Highlands spans a lifetime and more. They spent holidays and lived in some of the most remote places in the British Isles. Places with beautiful names such as Knoydart and Samlaman to Achultibuie and Skye, we all still gather for the summer. 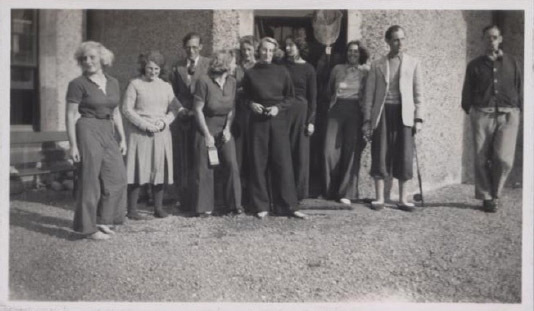 Looking back through photos of the summer holidays spent by the family in the Highlands, I particularly love the ones of the sisters and their house parties – tweeds, plus fours and wonderful wide legged trousers were always worn by the older girls. My grandmother, the third eldest of the sisters, swam in the icy, summer waters around Skye, well into her sixties. Not surprisingly wild swimming was a passion throughout her life. Looking back at these photos, the Longstaff Longstaff silk pyjama trousers would have been welcomed, I’m sure. Flat fronted for a smooth finish,they are easy around the hips with a long wide leg. They come in Lacewing print or plain designs making them easy to mix with our silk robes and silk tunics. Our beautiful silk pyjama trousers are perfect for a relaxed evening by the fire with a wee dram of whisky. They are fabulously comfortable and elegant enough to wear anywhere. 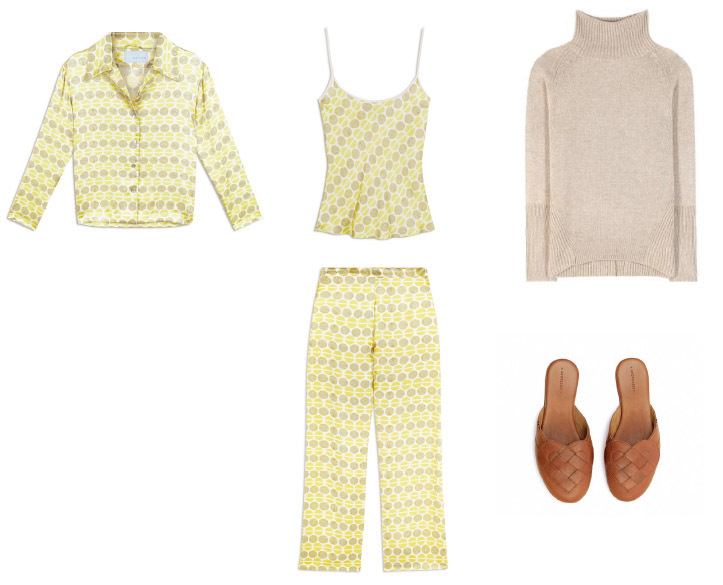 Layer them up with the matching silk cami and silk pyjama blouse for extra warmth. Textures can be mixed up by adding Etro’s dreamy wool and cashmere blend turtle neck jumper and keep your feet toasty with a pair of tan leather Elskling mules by A.Andreassen. Perfect for a chilly August in the Highlands.